has the Hot Laps Stealth Hip Pack Dakine a great accessory pocket for cycling in the range. belt bag very light, elastic and antibacterial Polygiene® coating even after long effort odorless . Top is also the spacious interior of the Bike-Pack . You can put the Tools for the tires and up some Accessories store and always behälst track. 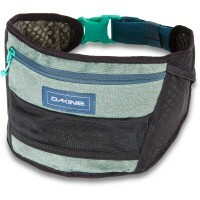 Well prepared it goes with the Dakine Hot Laps Stealth not only a bike ride, but also hiking and mountain climbing . You can super lightweight bag under the shirt / Jersey bear. Your great design makes it possible! inside pockets specifically for tool, tire levers, etc. 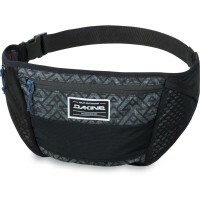 Customer evaluation for "Dakine Hot Laps Stealth Hip Pack Slate Blue"